Our waiting room is spacious and comfortable for pets and owners alike. 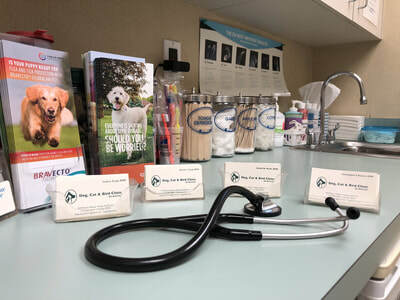 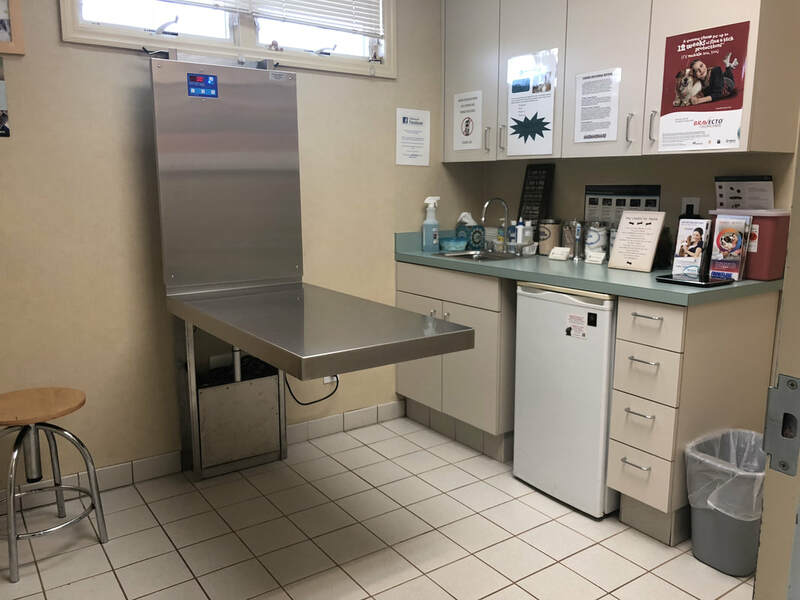 Each room is fully equipped with all the necessary tools to provide a complete physical exam for your pet. 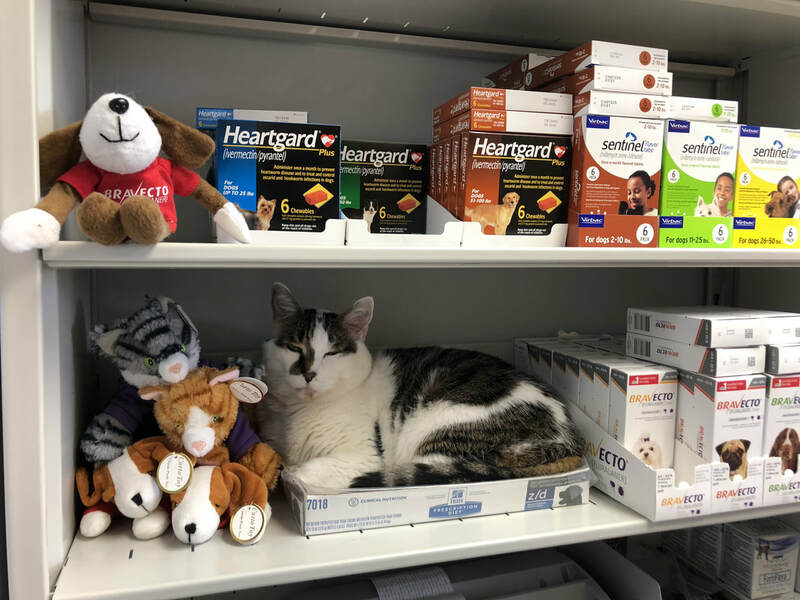 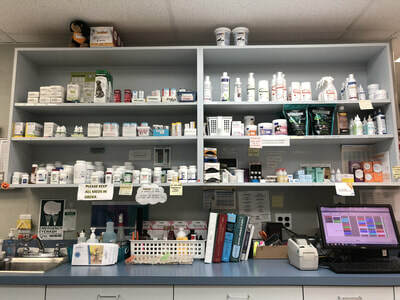 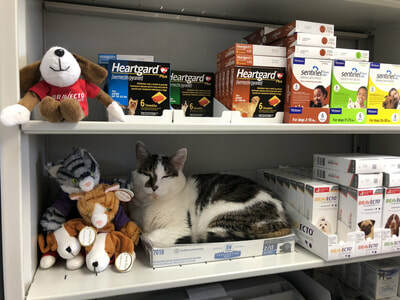 Our veterinary pharmacy offers a wide selection of medications for your pet. 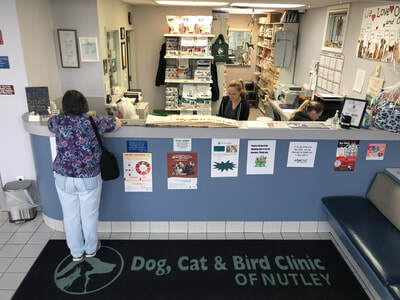 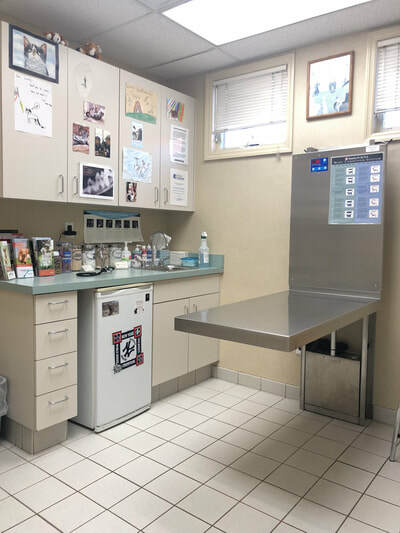 At the Dog, Cat & Bird Clinic of Nutley, we provide diagnostic imaging services for your pet with our new digital radiograph and ultrasound technology. Our qualified staff is dedicated to maintain a safe and sterile environment during any surgical procedure. 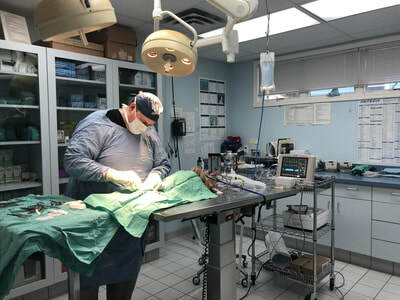 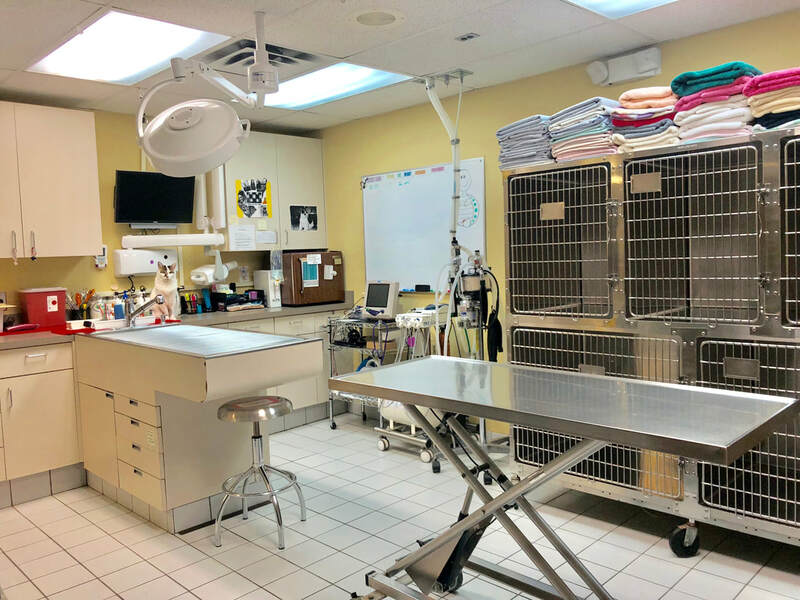 Our surgery suite is equipped with top of the line monitoring equipment to ensure your pet's health and safety. 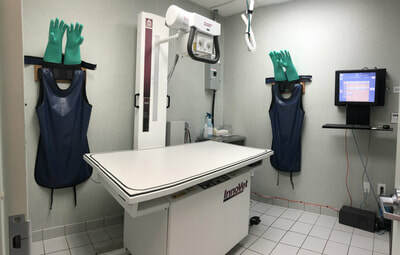 Our hard working technicians administer medical treatment and prepare patients for surgery in our treatment room. 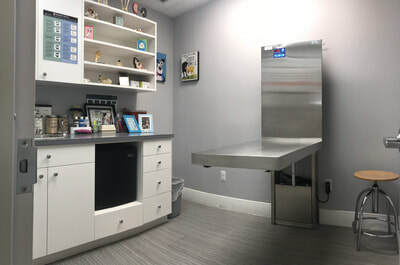 It also includes our dental suite, fit with digital dental x-ray and dental scaling/polishing machine.